New Seabury real estate offers residents a lifestyle that embraces casual and easy living. The minute you enter New Seabury you are taken by its beautiful landscape, a park-like setting that captures a sense of relaxation and natural awe. The charming Popponesset Marketplace is a summertime favorite with miniature golf, cafes, and shopping. 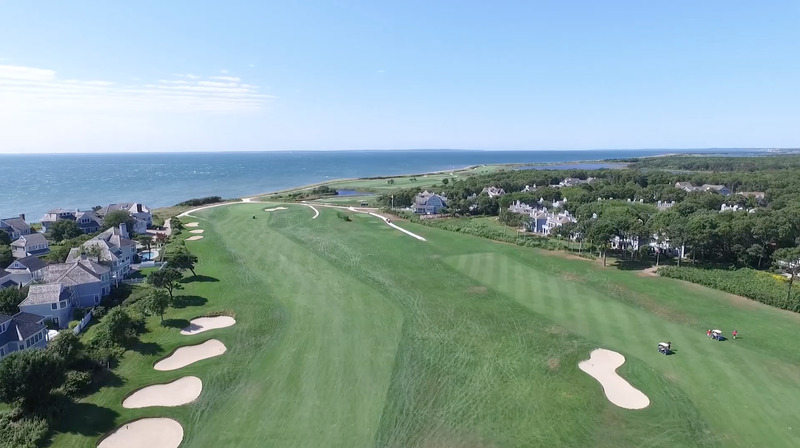 New Seabury and Popponesset real estate provide access to some of the best beaches on Cape Cod, with the warm waters of Nantucket Sound. New Seabury real estate owners enjoy the many amenities available that complement the New Seabury Life Style. The Country Club is amid two championship golf courses overlooking the sea, numerous tennis courts, a fitness center, fine dining as well as casual fare. A brand-new state-of-the-art fitness center will be complete in 2017. Relax on one of New Seabury’s private sandy beaches or enjoy a warm summer day at the oceanfront swimming pool. Sail off to Martha’s Vineyard or Nantucket from the New Seabury Marina, or kayak in one of the many waterways within New Seabury. Nature abounds in South Mashpee with thousands of acres of conservation land, walking trails and hidden places to launch your boat, canoe, or kayak. New Seabury Sotheby’s International Realty is located in the heart of the community, and open every day to help you find your perfect Cape Cod home in New Seabury and Popponesset. Contact us for all of your New Seabury real estate needs! If you are interested in real estate in New Seabury, then you must contact Mark Thompson. His extensive knowledge of every neighborhood, both it' past history and present status is outstanding. He is extremely professional and his attention to detail is second to none. I recently purchased a cottage in Maushop Village and Mark could not have been more helpful, reliable and effective. I highly recommend Mark, he is everything you could want and need in a real estate broker! Mark was very professional and was able to take me from home visit to closing in very short time. I would definitely use him in the future for buying a home. He is very knowledgable of the Maspee area and was great to work with. Mark was incredibly helpful. He knows the area extremely well based on his extensive experience as well as being a local resident. He is also very professional and provides a well informed, balanced perspective on the choices, leaving you in the driverâs seat but well supported. We recently completed the sale of a home in Mashpee with Thalia as our broker. She did a wonderful job preparing for the sale and creating a market. She guided us away from a first offer that she recognized was too risky, and towards a second offer that we ultimately consummated. She was attentive and informative. She really made this happen for us, and I could not recommend her more highly. Thalia is pro's pro. Thalia Logan and associates were outstanding through the whole process of selling and buying in New Seabury.